Out of the mouths of babes… come wondrous ideas and fantastical plans. 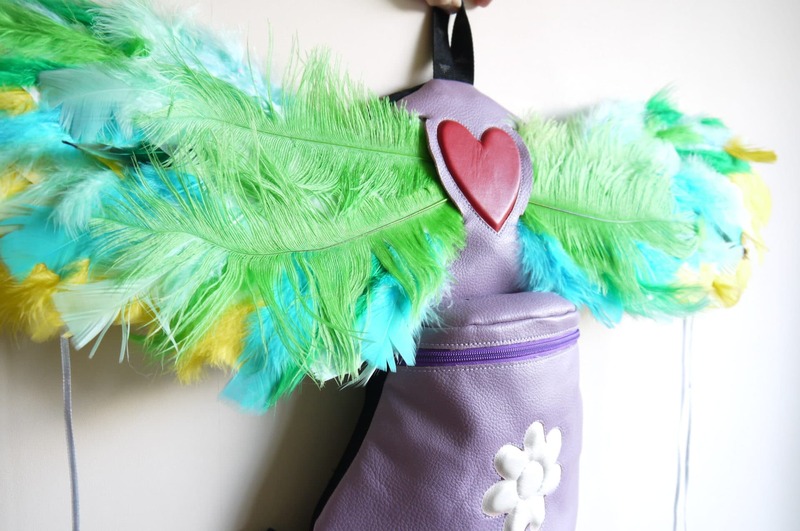 Ever seen a rucksack with wings? How about a fork that cools your food? Welcome to Little Inventors, where crayon drawings become real life gadgets – inspiring a generation to keep believing that the only real limit is their imagination. Kids have the enviable ability to look at the world like anything’s possible, and Little Inventors make sure that it is. They combine live invention workshops with an online idea gallery and a network of hands-on makers – to give children space to have ideas, show them to the world, and see them made real. It’s the brainchild of Dominic Wilcox, the inventor behind the world’s first GPS shoes, a tummy-rumble amplifier and a shelf made out ivy – amongst many, many other wacky and wonderful things. Dominic found an empty shop, and turned it into a gallery of inventive ideas. 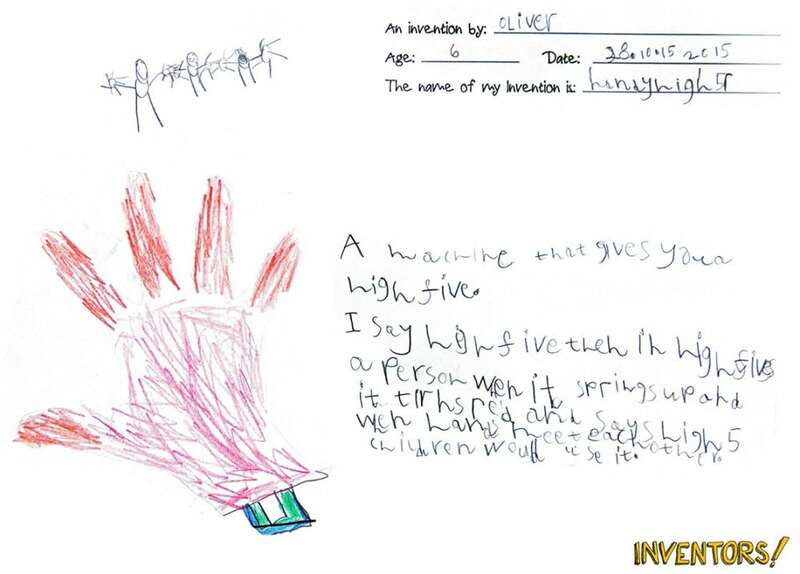 Over 450 children took part, and their designs were shown to a group of local artists. Five of them – a family scooter, a Liftolator (War Avoider), a shady lamp, a super fast tennis ball and a high-five machine – were made into prototypes that have since found a home in London’s Victoria and Albert Museum. 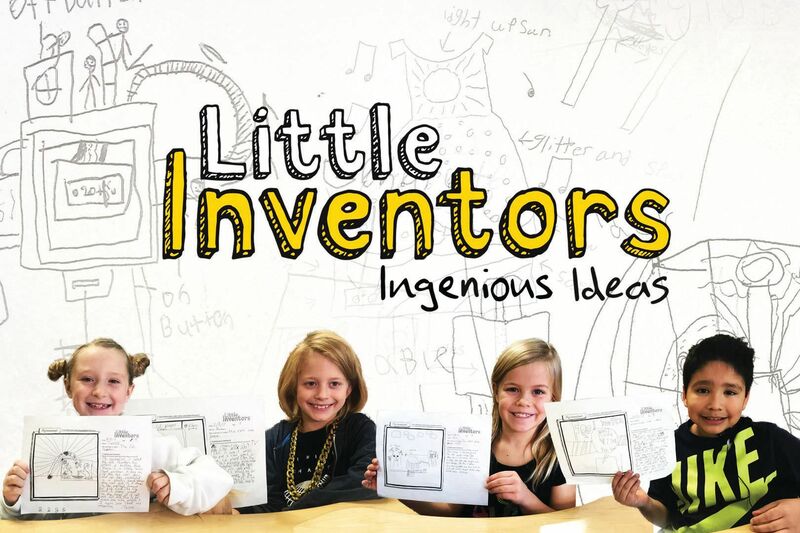 Now, kids can submit their ideas to the Little Inventors website, where a growing network of inventive grown-ups choose ideas they want to make real. 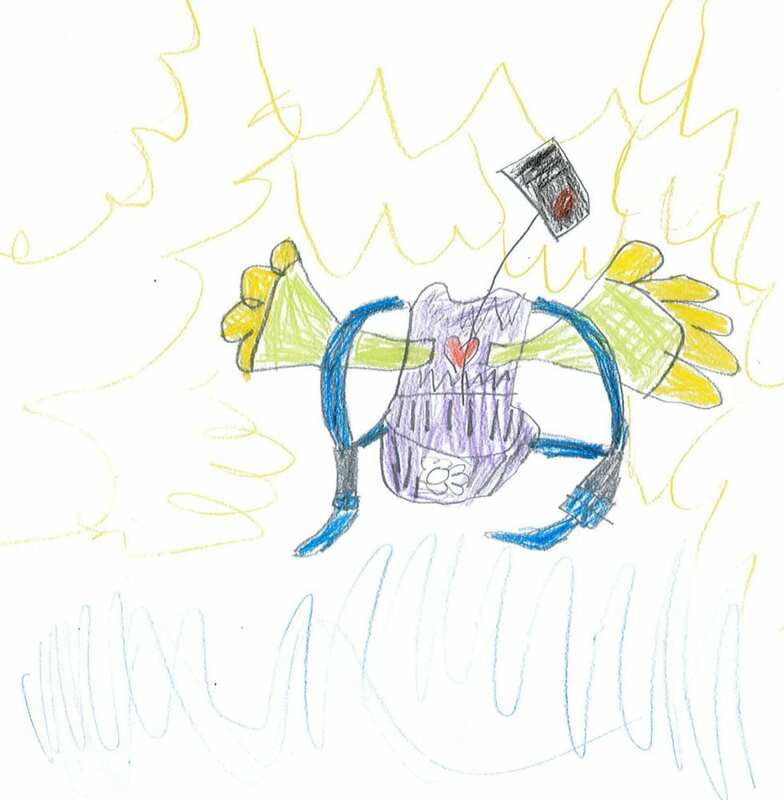 These woodworkers, electrical engineers, costume makers, artists and roboticists – otherwise known as Magnificent Makers – document their making process and upload it via the Little Inventors’ blog, so young creators can see their idea come to life. Over 5,300 inventions have been submitted to the website, and the ideas made real include underwater aqua blades, a handy pencil-extender, and a pollution-busting jacket. While a free-flow of wild ideas are always welcomed, Little Inventors also sets challenges to prompt inventions that tackle specific issues. They teamed up with Ocado to launch the food waste challenge, asked children across the North of England to come up with future-facing ideas for the year 2030, and joined forces with Aquafresh to gather ideas to make tooth-brushing more fun. In 2017, Little Inventors made their way over to Canada, to bring STEAM (science, technology, engineering, art and math) learning to life in partnership with The Natural Sciences and Engineering Research Council of Canada (NSERC). They have since partnered with the V&A Museum in London to connect kids to the Victorian spirit of invention. Exhibits made by little inventors can be found alongside the likes of Christopher Wren’s drawings and Leonardo da Vinci’s notebooks, and a free Little Inventors resource pack is available for teachers who want to inspire their pupils with the inventions of the past. 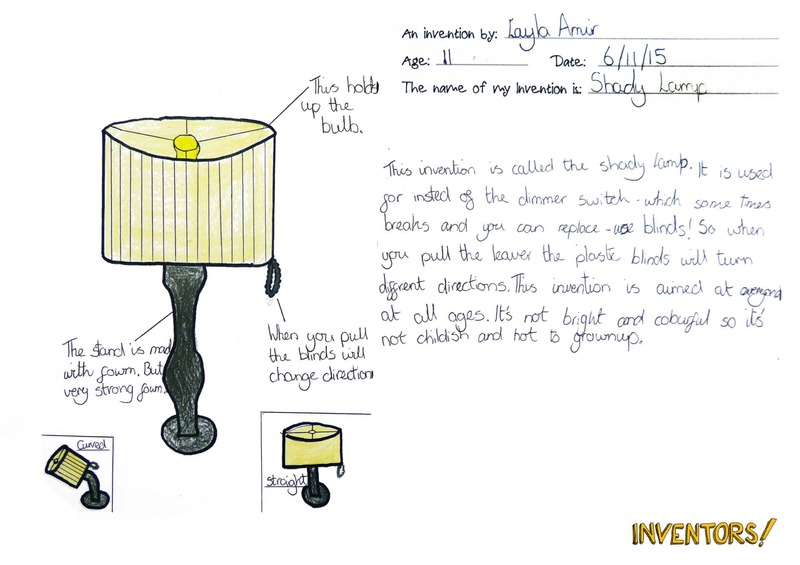 The team are now on the hunt for some next-level inventive energy in the form of Little Inventors Super Schools, which would get first access to the latest challenges and ideas and be linked to schools in other countries to work on invention ideas together. AtlasAction: Know a little one with a big idea? They can submit their idea here. Get in touch with the team if you want a workshop in your area; or if you’re a grown-up who’s good at making things, join the growing global network of Magnificent Makers. Tags: Communication, Community, Construction, Culture, CultureFutures, DIY, Education, Empowerment, Information, Media, Mentoring, STEAM, STEM, Storytelling, Students, Youth.